Fastest Growing High School Sport in the US? Some hints—it uses neither stick nor ball, teams are co-ed, and competing schools often practice together and share coaches. Give up? It’s SAILING! From the East Coast to the West and from the Great Lakes to the Gulf, sailing clubs are sponsoring high school sailors in greater numbers than ever before. Sailing provides a great opportunity for teamwork and head-to-head racing in some of the world’s most beautiful venues, and the waters of Southern Maryland are no exception. We live in a sailor’s paradise, with great breezes, a near-year-round sailing season, and a forgiving, sandy shoreline. The Chesapeake Bay has groomed some of the best sailors in the sport, and even though Annapolis declares itself the Sailing Capital of the US—its area high school teams routinely finish at the top in national competitions—Southern Maryland sailors are working hard to challenge them. Come out this fall to see sailors from Leonardtown, Great Mills, and St. Mary’s Ryken give those Annapolis kids a run for their money! 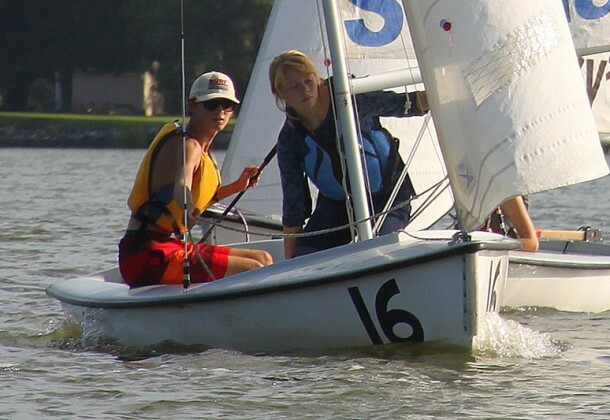 A home JV regatta is scheduled at Tall Timbers on 25 October, and the Mid-Atlantic Varsity championship regatta is scheduled at Tall Timbers for October 17 and 18. For more information, visit sailingcenterchesapeake.org.